You should probably know it took me three days to put up this post. Have you ever had a headache for 800 days? I have. As of today, Monday, October 9, 2017. Followers of this blog, or my Facebook, know that I'm "recovering" from a concussion sustained on August 1, 2015. I stopped counting days some time last year, but realized Friday I was approaching this inauspicious anniversary. It took two days before I could articulate it to anyone. An eight hundred day headache? Ugh. So I decided, rather than pulling up the covers and pretending the day didn't exist, I was going to celebrate. Not the headache, of course. I'm not that crazy yet. But anniversaries should be celebrated. Remember LIZZIE LILAC? My children's picture book to benefit cancer research? The one that answers the question of where your socks go when they disappear from the dryer? Now, for the first time, you can pick up the e-book for only $2.59! Each dollar goes toward cancer funding. You can grab the Kindle version or snag it in any of these Other Formats. My daughter, Kylie, and I came up with this story together, and she was with me every step of the way. We wrote it to initially benefit the mother of her friend who had been diagnosed with breast cancer. Now she's 6 years cancer free! That's certainly something to celebrate!! 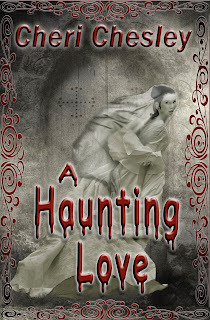 A HAUNTING LOVE, my favorite ghost story, now has a fun addition. 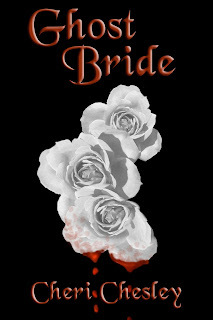 It now includes Ghost Bride, my charming micro tale about a bride who refuses to rest in peace. A HAUNTING LOVE is the story of Alita, a bride-to-be who travels to Scotland to wed her fiance Drew in his ancestral home, only to stumble upon a mystery within the castle. Thwarting her at every turn are her Drew's intimidating mother, his sly sister, indifferent brother, and terrifying dreams of her own death! It's a steal at only 99 cents! Available for Kindle or Other Formats. Both sales go through October 31st. Though it may feel weird to say enjoy my anniversary sale, I truly mean it. I refuse to dwell on the negative! Also, if your fancy turns that direction, you can check out the aprons on my ETSY store. There are some lovely fall prints up and haunting Halloween fun, and, as always, a few deep discounts. I'll be closing shop at the end of the year, so be sure to purchase while you can. My List of Goals is displayed in my room where I see it every day. It reminds me this is what I should be writing. What I should be working on. It's been difficult to get back into the swing of writing. Mostly I've been taking notes. Weeks like this week have not exactly been making it any easier. I'll let you read the update on my Mommy Blog to spare myself from having to repost. It's not all bad. The only thing I left out was the passing of my uncle John. He was a pretty cool guy, and he'll be missed. The up side of my neurologist's suggestion is that, if it works, it should enable me to write more. That will be exciting. I got some good news from the doctor. While my brain injury is still going strong (particularly after falling in the shower Feb 17), my leg is clot free AND my blood thinness is at therapeutic level. So double yay! I'm not waiting for everything to be perfect. Nobody can ask for that. For 2017, I've set a personal goal: write 12 stories. It helps me immensely to organize, so I wrote my projected stories down in a list and put it up in my bedroom where I can see it every day. A couple are full length novels, but most are short stories and novellas. I can't say if or when any will be published, because there are outside factors at play, but this year I WRITE! Also, it is time to say goodbye to this beautiful piece of cover art. 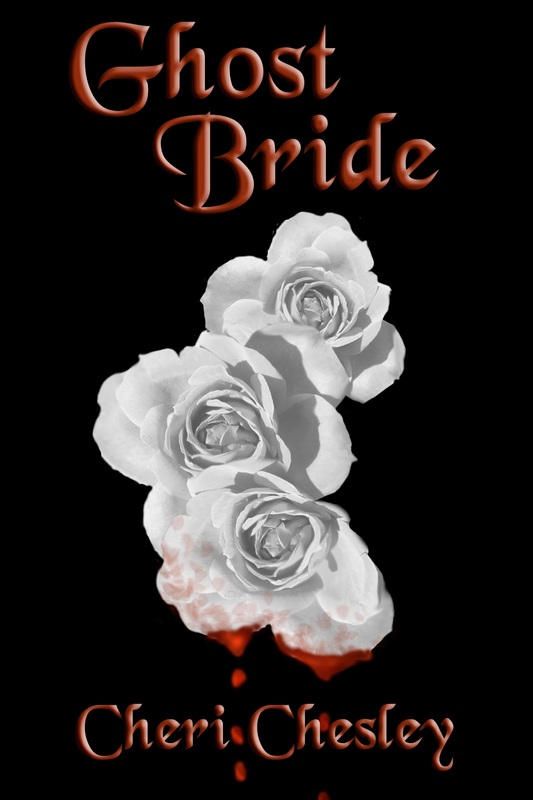 A while back, I posted my intention of retiring Ghost Bride as a stand alone short story. 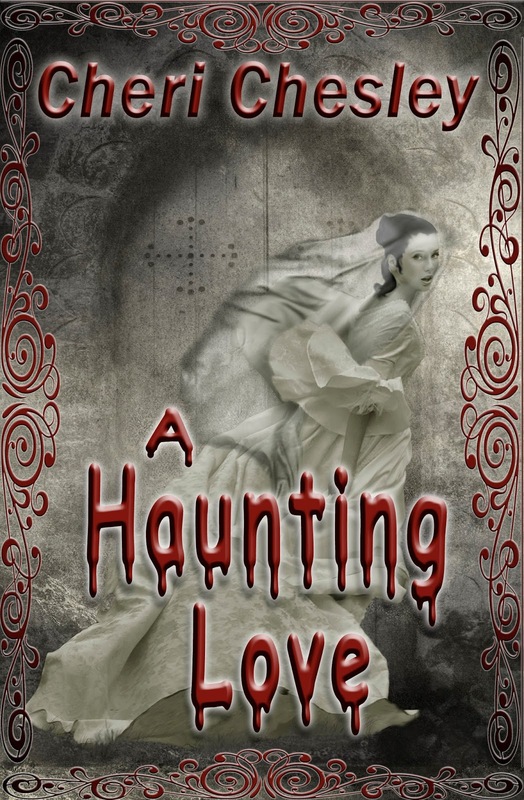 I've finally gotten around to adding the micro fiction to the back of my ghost novella, A Haunting Love. Rereading Ghost Bride reminded me of all the things I love about the story, and while I realize the chief complaint about the story is that it's too short (which to an author is music), I think putting it at the back of another story will be a good fit. Plus, now, it is finally available in print! Before, because of it's length, that wasn't possible. I've also begun the process of removing myself from Smashwords. I've found it hasn't done me much good over the past 3 years, and I'm clearing out the less useful parts of my writer life. Draft2Digital serves me much better, and between that and Amazon I've covered a much larger audience. The other thing I've spent time doing was a little more risky, and I did it without consulting a single other published author--which was unlike me. Amazon publishing, at the beginning of this year, opened up the option for print books to be created alongside your Kindle e-books. It is a fledgling venture, still with many bugs to work out, but they offered a simple conversion from Createspace for those of us who have created books there to bring them over from Createspace to Amazon publishing and link them up to their Kindle companions. I have now done this successfully with every single one of my self published titles. It wasn't easy. At least three of the covers required tweaking, despite the fact they were approved on Createspace. (like I said, the Amazon publishing's print process is still very new) One cover, Birthright, was rejected, I resubmitted without making any changes, and it was accepted. So I tried that with the other two (a few times, actually) but that didn't work. My reasonings for the change are as follows: Createspace is an Amazon creation, and if they are doing print books differently, I feel it's with an intention to eventually do away with that option on Createspace. I also like having the Kindle and print books in the same place, rather than in different places. Not to mention how royalties were calculated. You'd get a higher royalty with a Createspace book if someone bought it from Createspace's site, but nearly everyone bought it from Amazon, where the royalty was lower. All in all, this just seems like a more streamlined process, though I am looking forward to when they get some of their bugs worked out. For instance, the author can't order proof copies yet. It's something they plan to offer in the future. So I just paid retail for a copy of each of my books to make sure they look as good in person as they do in the digital proof (and as good as they did through Createspace), and got a royalty off of each book I purchased. It's weird and silly. But, all things considered, I'm starting to feel like an author again. Have you ever felt like you were cursed? I'm not talking about like something you'd read about in a novel, or watch in a creepy movie, but have you ever tried to do something that felt like the right thing to do--and everyone told you was the right thing to do--but no matter how hard you tried it never worked out? How much effort do you put into that until you stop? Until you give up and say, "Self, this is not working. We need to find another approach to this problem. Before I die." I've been pondering this question a lot lately. If you've followed this blog at all over the last 2 years or so, then you know in addition to being a writer, I've worked to supplement the family income. There have been times over my almost 21 years of marriage that I didn't have to work and was able to focus on raising my kids, but there have also been times when working has been necessary for our family's survival. Most recently, I had a home day care, I worked retail, and I cleaned banks after hours. I quit the retail job for a variety of reasons (not the least of which is they offered me the store--literally. Store manager. ), the most prominent being my kids. That job was taking more of my time away from my family than they could handle at that delicate stage of development, and my oldest was getting into some trouble. My husband and I discussed, prayed, and pondered our options extensively. Extensively. I agonized over this. And, at that time, I came to realize that what I needed to do was focus on my writing and my family. So I did. And I published more stories, but my publishing career never really went anywhere. Meanwhile, my kids are doing wonderfully. And I don't want to knock that. I really don't. And I don't in any way want to minimize that. They astound and impress me with their resilience, their growth, their love, and their patience. I love them so much. I have one son out in the world, two boys about to join him, and two girls growing up way too fast. But personally, I'm frustrated. Stymied. We hit another really bad financial patch in 2015 and, despite what I knew I should do (stay at home and focus on my writing and my family), I felt like an idiot for not rejoining the workforce and financially helping my family. So I started filling out applications. It seemed harmless enough. It seemed the right thing to do. Family needed money. And I got hired. Actually, within 2 weeks I had 3 job offers. I started at the first place, but got a horrible, soul crushing vibe after a couple of days and took a second offer. The third place wasn't worth considering. This new job seemed perfect. The pay was decent, the hours were fine--I'm kind of a night owl anyway--and the work wasn't anything I hadn't done before. It even sparked a cool story idea. I started working my schedule around my new job. I could go to work, sleep the morning hours away, write for a few hours while the kids were in school, and then have the afternoon to spend with my family. It was quickly becoming the ideal job. In a scenario where I didn't necessarily want to have to work outside the home, this was the best kind of set up I could hope for. I was grateful. Then it happened. While vacuuming one night I bent down to pick up some paper clips and rubber bands because the vacuum doesn't pick them up, and when I straightened I was too close to the counter. You know, those pretty and incredibly solid counters they have at banks. At the time I had no idea how much damage I had actually done. August 1, 2015. Today is Feb 1. 2017. I'm still living with the effects. Constant headaches. Anxiety. Dizziness. I'm much improved, thank goodness. But I still don't drive. I have a migraine that hasn't stopped in 18 months. It's weird, because I think I'm adapting to it--that and other pains have taught me that it could be so. much. worse. But you've heard all this before. BAM. Head injury. Months of misery. Lawyer. Settlement. And then...what? I took a year off of writing (mostly--don't kill me) to try and rest my brain and let it heal. I tried really hard not to expose myself to a lot of stimuli that I'd found in the early months of my injury to be triggers--animation, the computer, TV, movies, bright lights, motion, sound, music. Some things I just can't avoid. But, like I've said there has been some improvement. I can handle church much better now. I went to my daughters' choir concerts in December. Heavily medicated and had to rest for days after like a big baby, but I went. I'm *tired* of missing out on everything. I still can't handle my son's basketball games, and this is his last season. But you're not keeping me from his track meets this spring. But taking a year "off" means, basically, that everyone forgets you exist. (which also means nobody is reading this so I can basically say whatever I want) Like that I still have heaps and heaps of anxiety, and nothing that has happened in the past year has improved that at all. Especially since last fall. I know you didn't miss that adventure. September 15--I tried to go to my Dr because my leg hurt so bad I wanted to saw it off. After over a year of my head hurting so horribly, I thought I knew pain. I'm a mom. I've done labor. I've done surgery. Ha. Just ha. Dr sent me straight to the ER. Didn't even pass go. Blood clot. They weren't even kidding. The clot was from my knee all the way up past my groin. My leg swelled up almost twice its normal size. I was sporting a flesh colored log. The pain was indescribable. I can't even. Walking was murder. Trying to get myself to the bathroom? Ugh. I mean, you think you're a shy, modest person--and then you're suddenly in a situation where you can't possibly see to your own bathroom needs and have to have someone help you. They kept me in the hospital over the weekend, fed me a bunch of blood thinners, and then sent me home under observation. "How close did we come to losing her?" "Very close." They ended up doing a different procedure involving that same surgeon (thanks Dr Neel) and a cardiac surgeon which basically involved a specialized roto-rooter into the vein to bust up the clot and a stent in my vein to keep it open. Here's the fun (and official) diagnosis. I have a physical defect where the illiac artery sits over top of my illiac vein. Because of my head injury and my year of minimized physical activity (because motion increased my blood flow which increased my headache pain--fun times) it led to a clot. Had I been able to remain active I probably never would have had a problem. It's possible I would have, but more likely I wouldn't have. However, now that they have had to go in and remove a clot--and a big one at that--my vein is more likely to "hold" blood (they said going in and rooting out the clot like they did made the vein "stickier" which isn't accurate but it's a term that serves the purpose). Basically I'm likelier to clot again. The stent is supposed to keep the artery from pressing the vein closed so blood will flow. So I have the blood clot issue, which means I have to move and be active, and the head injury issue, which means I have more pain the more active I am. Somewhere in there is balance. Still working on that. I was home a week, during which I got to meet my sweet new granddaughter, when I was sent back to the hospital because I was having trouble breathing. I had accumulated fluid in my right chest. Everyone was scared, because of my bleeding issues before, that it was blood. Turns out it wasn't, but we had to wait a week before we could find out. They wouldn't drain the fluid until my INR (how they range my blood's thinness) was out of therapeutic range and back to normal range. They didn't want to use medication to push it back to normal but wanted it to go down on its own. So we waited. The chest pain was tough. It was like having a real bad catch in your chest when you try to take a deep breath, and then something presses your lungs together. In the end they took out 1500 ml from my chest--that 1.5 liters, for the next time you grab a coke. Just on the right side. That wasn't even all of it, but the tech wouldn't remove more for fear of causing complications. The rest had to reabsorb over time. Recovering from that while recovering from the blood clot in my leg made me feel pretty pathetic. With the walker. And barely able to make the trek to and from my own bathroom. Trying to find comfortable positions on my furniture or in my own bed. Fortunately the walker didn't last long, but I was anxious to get back on my "own feet" again. Looking back now, being off the pain meds and able to walk on my own, it's amazing how far I've come. Back to feeling cursed. That's a choice, really. I mean, I could look at this whole mess as, "I tried to get a job to help my family and now I can't even work outside the home anymore!" Because, seriously, I've given it careful consideration and even if I was able to drive I'm still not able to be on my feet for long stretches of time. I choose to feel, though, that there has to be a more positive way to look at this whole debacle. I do still feel a great responsibility to bring income into the family. We're still in need of it. That's why I started my apron business on ETSY. And I've also added my print books to the store as well. 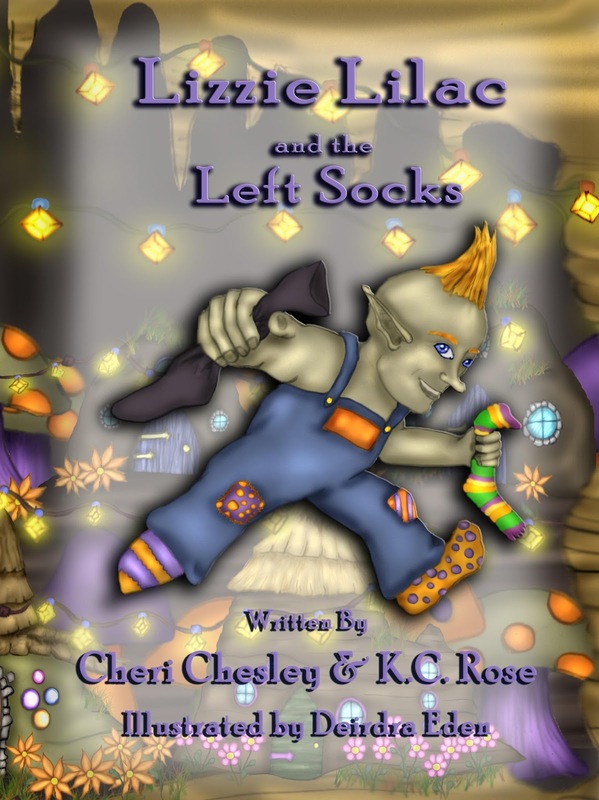 Or you can find the ebooks through my AMAZON page. Lately, I've felt a very strong need to start writing again. I honestly don't know how well that's going to go. The headaches get worse when I write, so I still have to pace myself. This past year or so has taught me a lot, about myself, about my friends and my family. I'm not looking for charity, or pity. I'm just like you--a person trying to do their very best with what they have. I don't always make the best decisions, but I'm trying. I won't give up. My family has needs, and I intend to do what I can to provide for them.